Three questions sum up the fundamental quandary for scientists working in biology and cosmology today. Where did the information that made matter possible come from? 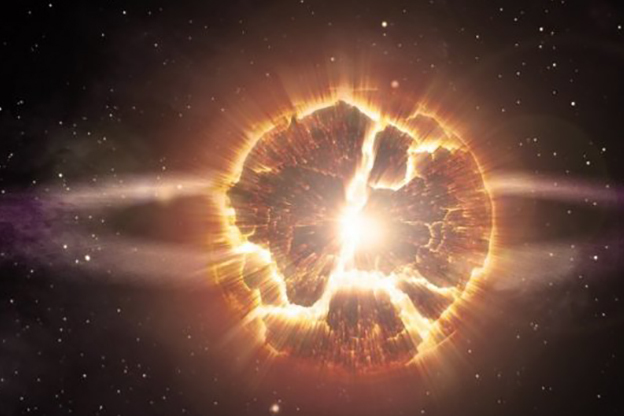 How did life arise out of inanimate matter? And what is consciousness? These profound puzzles about the nature of our universe are the major stumbling blocks holding up progress in physics and biology. Vast sums of money are directed at trying to answer them. In Godhead: The Brain’s Big Bang, psychologists Joe Griffin and Ivan Tyrrell take this watershed moment in the great narrative of human history and make it the starting point for a tantalizing and powerful investigation into the mystery of human consciousness and the question: why do we exist? In doing so they may have solved the three fundamental questions mentioned above – without spending billions. 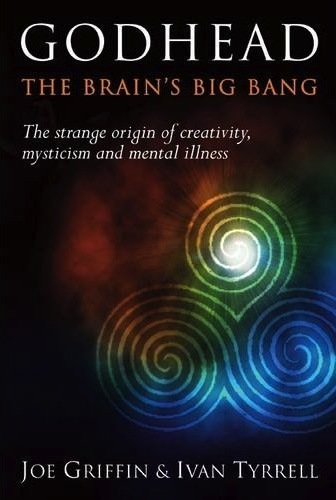 The authors argue that the brain’s big bang introduced creativity, mysticism and mental illness, all at once, into the human race. Those developments, they suggest, are the bi-products of evolved consciousness – a parallel track of imagination and reason – which, when employed harmoniously under certain conditions, allow humans to perceive, and merge with, the meaning of life and the universe. There is a subtle and hidden reality permeating all life, they say, implied in wisdom traditions and by quantum physics, that our biology normally prevents us from seeing. Tyrrell and Griffin, from the UK and Ireland respectively, are known for their groundbreaking work in the field of psychology. Their previous work, Human Givens, a seminal book that takes its title from their approach to psychotherapy, is predicated on the idea that the brain is a pattern-matching organ. It argues that in addition to physical needs, all people have a set of innate emotional needs – called ‘human givens’ – that exist as partially formed mental patterns at birth. If those needs are sufficiently met in balance – including the need for meaning – it is impossible for a person to become mentally ill. Their fast and highly effective approaches to treating such ailments as depression, addiction and psychological trauma, are gaining currency in Europe, sending shockwaves through psychology circles. Tyrrell and Griffin’s new book, Godhead, builds directly upon their previous work. In it the authors argue that mental illness, learning, consciousness and enlightenment all exist on a continuum and can’t be separated. 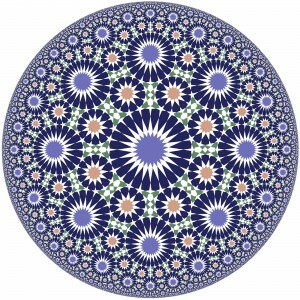 Consciousness, they allege, has a special relationship with matter. Both are key to the makeup and movement of the universe. This linkage between consciousness and matter means that what we do and how we think, bear directly upon the entire universe – and also on our ability (or lack of it) to directly perceive its inner workings. “Consciousness has a vital role to play in the existence of everything and the quality of our relationship with it lies at the heart of physics,” they write. To demonstrate this, they take the reader on an epic journey spanning the earliest stirrings of human awareness to the far-flung, and seldom seen reaches of the cosmos. At the time of the brain’s big bang, they say, humans evolved the ability to access REM – the “rapid eye movement” state prevalent while dreaming and in which our instincts are programmed in from our genes – while awake. It was this waking access to REM that allowed us to escape the present moment-centered way of existing. Once we could daydream we could reflect on the past, think of the future, imagine different possibilities and pose the big questions. We could also become more objective and value being aware of our own awareness. The authors suggest that when we evolved the ability to enter this internal REM state and daydream, “we became the first animal on Earth with the capacity to ponder over different realities, recreate our past mentally and think about what we might do in the present to influence the material world around us in the future.” A parallel ability to employ reason in order to counterbalance the power of daydreaming appeared at exactly the same time. Complex language, culture, and creativity were among the fruits of that evolution. But, as Griffin and Tyrrell say, “the awakening of human consciousness carried a high price.” Any imbalance in either of these abilities – imagination or reason – resulted in the potential for mood disorders, psychotic illnesses and autistic spectrum disorders. All of this, the authors point out, is crucial to a proper understanding of who we are. But the biggest upshot of these developments, the real reason we evolved these new capacities, they say, was for directly perceiving the nature of the universe. This is because the universal mind wanted to know itself. 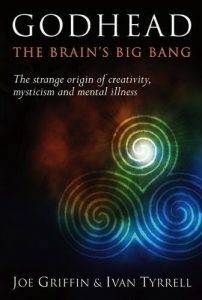 In other words, the brain’s big bang occurred in order to give us the ability to become mystical. The book alleges that throughout history, going all the way back to the Upper Paleolithic period, individuals who were endowed with the right balance of imagination and reason, managed, at certain times, and with proper direction, to overcome their ego and attachments to materiality and undergo a profound inner transformation. Higher knowledge was then accessed through the REM state, which acts as a gateway. 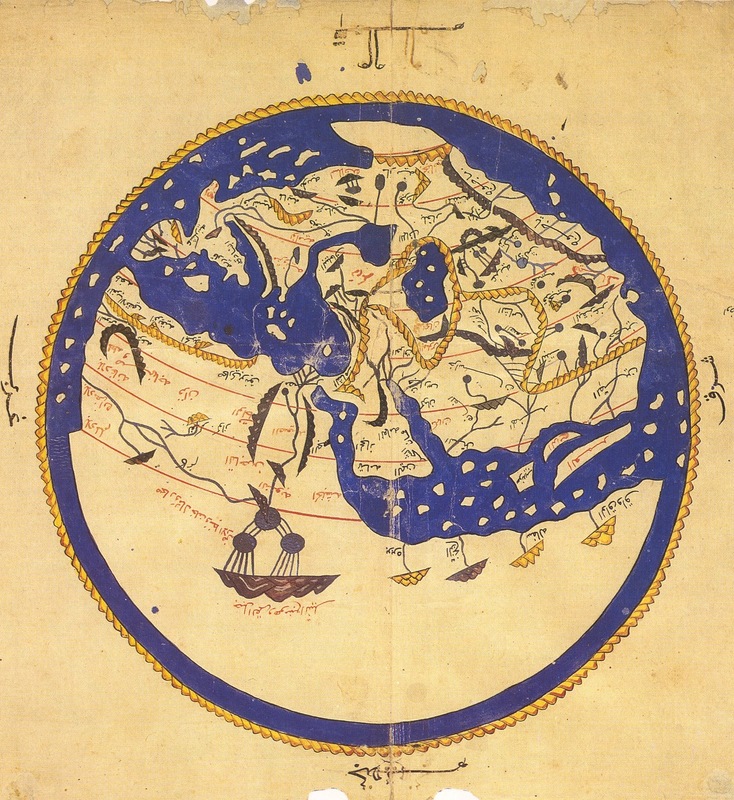 How this occurred became the work and domain of the ancient mystery schools from which all religions grew, including those of the Gnostics and the Sufis. Backed by a Herculean effort of scholarship, collating knowledge from several disciplines, Griffin and Tyrrell tell us in no uncertain terms what it is that genuine mystics have always reached for: a direct knowledge that the universe is conscious and that aligning one’s own consciousness with it, allows one to experience, participate in, and even influence its very workings. Here the book picks up pace, taking the reader on a high-speed journey across the phantasmagoric landscapes of a theoretical cosmology that is at once riveting and that can at times push the limits of credulity. Citing descriptions in poetry and literature throughout history and in the work of quantum physicists like John Wheeler, Stephen Hawking and Julian Barbour, Griffin and Tyrrell say that the universe exists in a constant state of oscillation. The universe, the theory goes, is being re-created at every moment. It is a shuttling back and forth between an ultimate state of perfection where all information and matter is integrated (a state of pure consciousness known traditionally in certain cultures as “the Godhead”) and its antithesis: a state of unrestrained energy. Humans, who play an important part in this movement manifest at a critical midway point in this oscillation, for, the quality of our thoughts and behavior, and where we focus our attention, furthers the movement in either direction – towards the creative/integrative or destructive/disintegrative ends of the spectrum. The wellbeing of the universe, its very existence in fact, depends on a balance between the two movements. Knowledge of the oscillation may have been present in the Upper Paleolithic period since the time of the brain’s big bang. 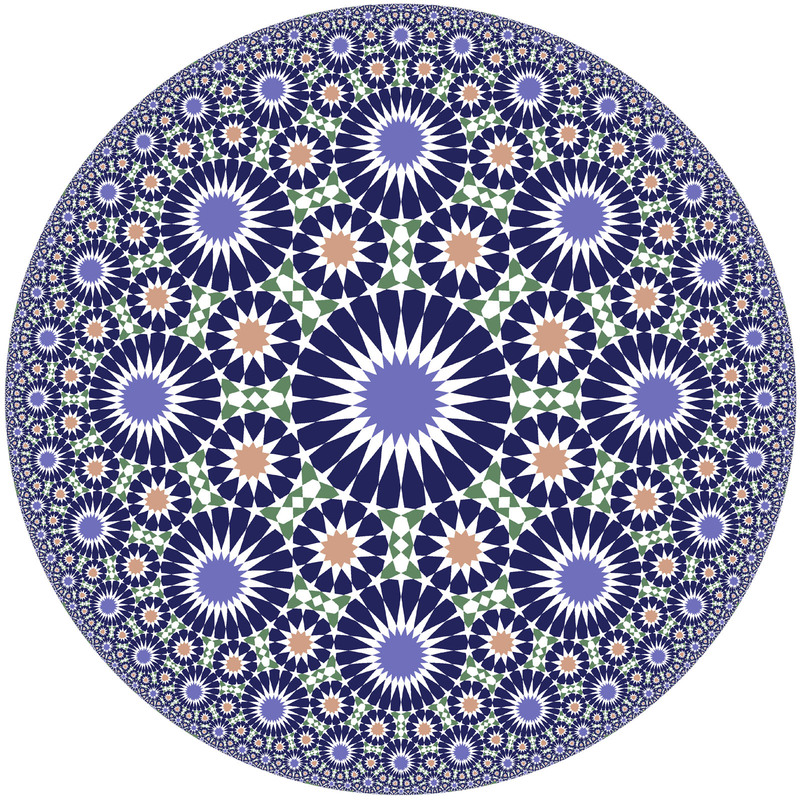 Notions of good versus evil, and visual symbols such as the Celtic triple spiral found at megaliths in Ireland, the Taoist yin-yang, Buddhist mandalas, and Islamic geometrical patterns characterize this oscillation – as do some ancient myths and fables. In Godhead the authors have written a bold, courageous and intuitive book – a vast, labyrinthine work traversing the origins and extensions of our base drives and higher potential. Its main hypothesis that human consciousness has a direct bearing, and a pivotal role to play in the formation and movement of the universe (a claim which the authors say is perfectly consistent with modern scientific understandings of how the cosmos functions) makes the book an exposé in the truest sense of the word. 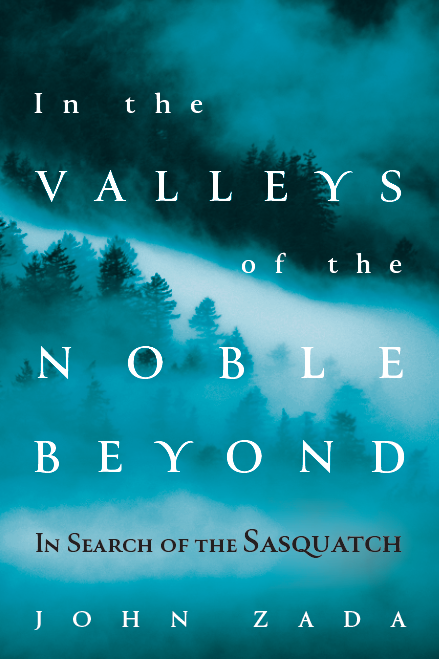 By drawing attention to the little known, but very real linkages between the ancient wisdom traditions and quantum physics, Griffin and Tyrrell attempt to bridge one of the great chasms of our times – the seeming irreconcilability between spirituality and science. Because they often draw the material for their models from disciplines outside their field of psychology and because their postulates are often born of inferences and reasoned speculation, readers might find an impulse to dismiss their claims or suggest that the authors are out of their depth. Others, subscribing to some of the more fashionable theories that espouse meaninglessness in the universe, especially due to reductionist scientific thinking, will also be tempted to rule this work out. But to be seduced by such impulses would be to misunderstand the authors’ enterprise. Godhead was written in the spirit of the Renaissance men of old, who worked for the advancement of knowledge through huge multi-disciplinary leaps of thought. Rather than attempting to appeal to pure reason and relying solely on safe empirical proofs, Griffin and Tyrrell take theoretical risks and ask the reader to internalize their ideas and then examine them intuitively, subjectively. It is a different route to knowledge that in earlier epochs was far more accepted and practiced, and which the modern scientific method, with its steadfast rituals of detached experimenting, has cut itself off from. Consciousness, the Universe, wisdom, and higher knowledge can only be known directly – through personal participation. From this position, academic exercises, though having a certain value, can only take one so far. The book teams with fascinating ideas and nuggets of information. The authors put forward the idea that humankind’s propensity to be superstitious was deliberately harnessed by far-sighted individuals to mobilize people to organize themselves in such a way that civilization could develop. Support for this idea, they suggest, can be found in the amazing 12,000 year-old stone circle temples at Göbekli Tepe, recently discovered in eastern Turkey. They also postulate that memory, whose locus has eluded scientists to date, is actually not stored in the brain, but in a field of consciousness outside the body that interpenetrates the brain. And an alluring appendix containing translated sayings from ancient Egyptian temples gives further evidence that the pursuit of evolved consciousness, unlike today, was once a widespread preoccupation. What Griffin and Tyrrell are telling us is that our conscious participation in the endless oscillation of the universe described in Godhead, (like Sisyphus’s eternal effort of pushing a rock up a mountain – but which rolls back down), is itself the ultimate meaning. The effort to know that process intimately by trying to align oneself with it – by, in effect, becoming both the rock and that which moves it – is, they say, the deepest pursuit a human being can undertake. What, if any, experience the authors have with this process is not directly alluded to. But if their groundbreaking and revolutionary work in the field of psychology and psychotherapy is any indication, then this book demands to be taken as seriously as the subject it conveys. Even if its models are only partly accurate, the implications for how we might choose to live our lives, and what that might mean for humanity’s further evolution – in the face of the alternatives – cannot be overstated. Godhead: The Brain’s Big Bang – the explosive origin of creativity, mysticism and mental illness, by Joe Griffin and Ivan Tyrrell, HG Publishing, 468 pages. $40.